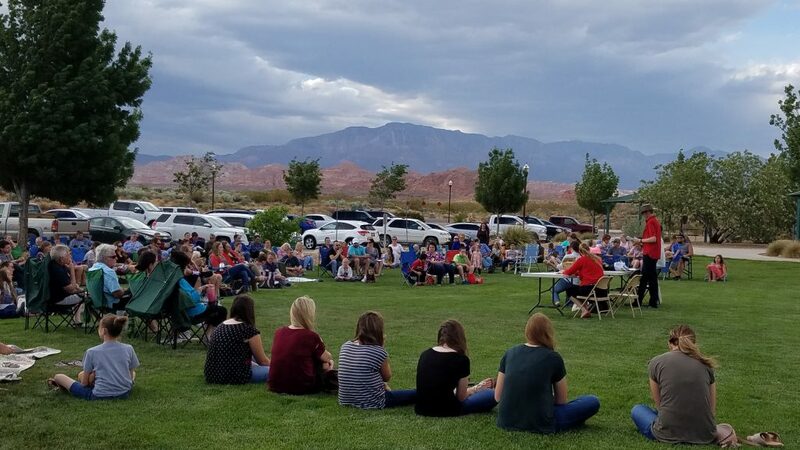 The wind did not deter the approximate 150 attendees, including proud parents, siblings and teachers, as well as the young creative writers themselves, who gathered in Washington City’s Highland Park Friday evening to recognize the budding authors’ stellar descriptions of the county’s one-of-a-kind terrain, everything from its red rocks and mountains to its streams and cottontails. 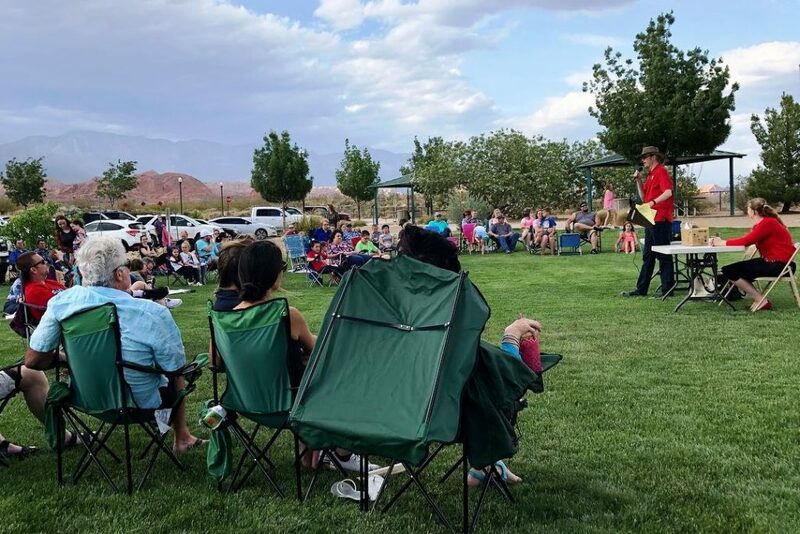 Contest organizers felt the park a fitting venue for the awards ceremony because of its sweeping views of all the scenery the county has to offer, including Red Cliffs Recreation Area, Sand Hollow the Pine Valley Mountains and even Zion’s West Temple and other monoliths. 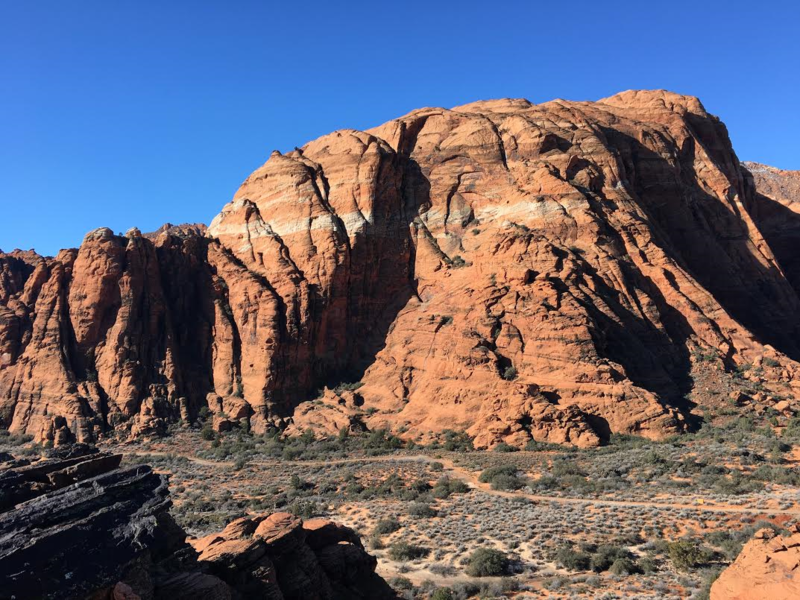 In fact, red rocks, the Pine Valley Mountains and Zion National Park were the three most popular subjects local students chose to write about in their entries. The awards ceremony allowed judges to recognize the winners in each category and age division, providing each winner the opportunity to read their work in front of the audience. The contest featured two categories, poetry and personal essay, and four age divisions, 1st-3rd grade, 4th-6th grade, 7-9th grade and 10th-12th grade. It received 214 total entries with 92 of those entries in 7-9th grade poetry alone. 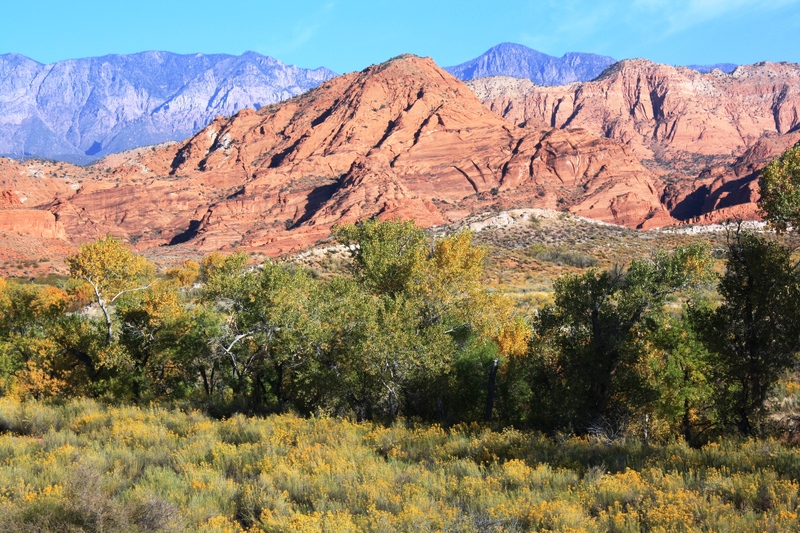 Most contest judges are representatives of the county’s land management and advocacy organizations, including Red Cliffs Desert Reserve, Snow Canyon State Park, the Bureau of Land Management St. George Field Office and Conserve Southwest Utah. The judges were resoundingly dazzled by the writing they judged. 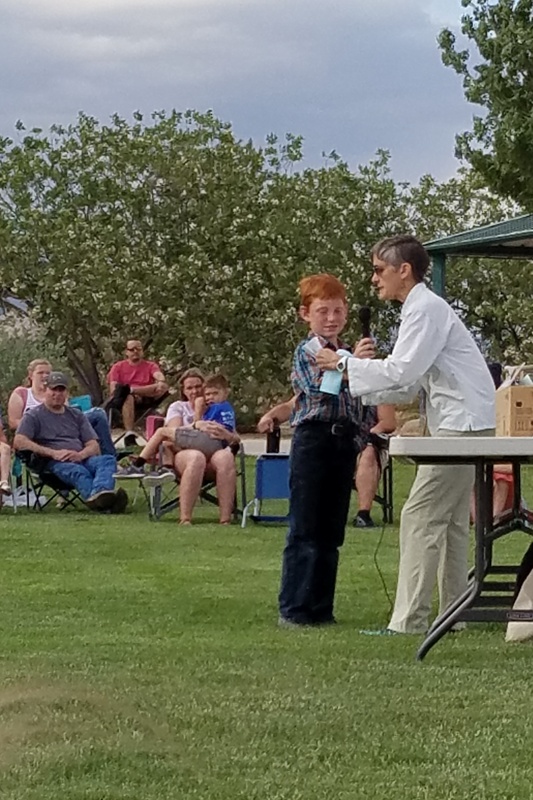 Susan Crook, of Conserve Southwest Utah, who judged the 10th-12th grade poetry, said it was hard picking a winner. 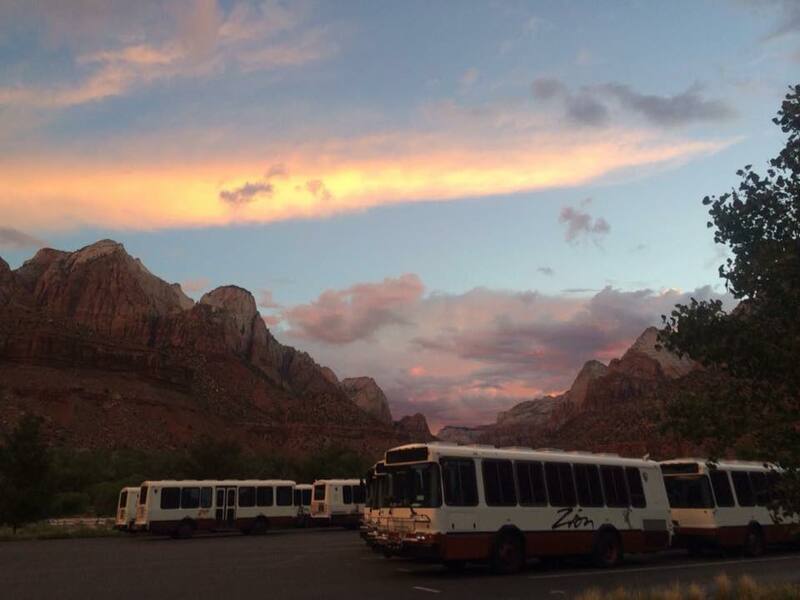 Crook even said the county’s visitors bureau should hire a few of the students to write its ad copy to attract visitors to Utah’s southwestern corner. Fellow judge Lin Floyd, chair of Dixie Poets, said she was delighted the contest gave students the opportunity to express themselves creatively and be awarded for it. Winners received cash and merchandise prizes. The agencies donated the merchandise, which included T-shirts, hats, water bottles and tote bags. 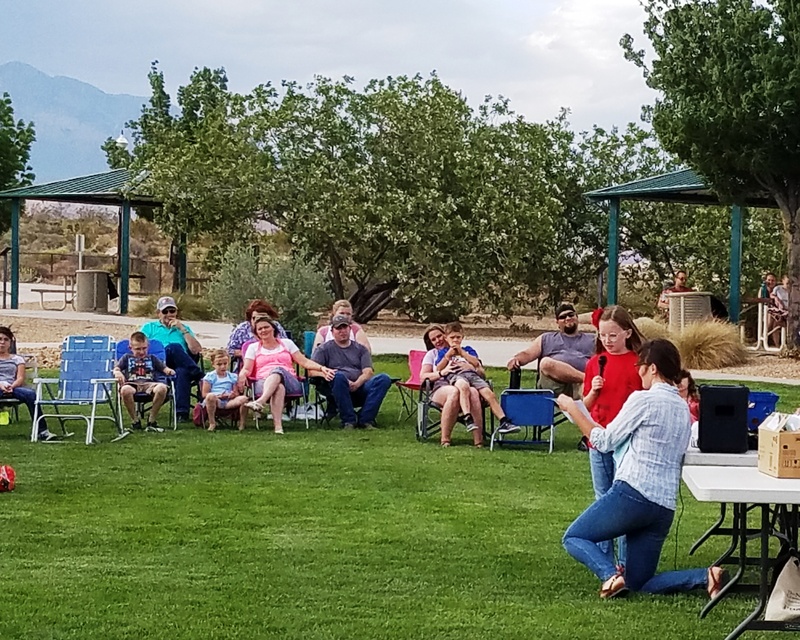 All first place winners received an annual state parks pass donated by Snow Canyon State Park. Each winner also received a chapbook with the text of each winning entry and a certificate of achievement. 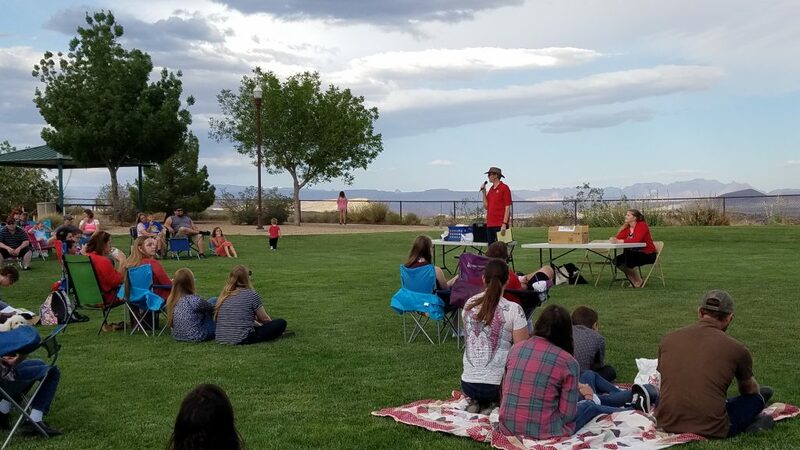 The contest, in its first year, replaced the former Dixie Poets/Washington County School District fall poetry contest, whose organizers felt there should be one poetry contest in the fall and one in the spring instead of two contests in the fall. 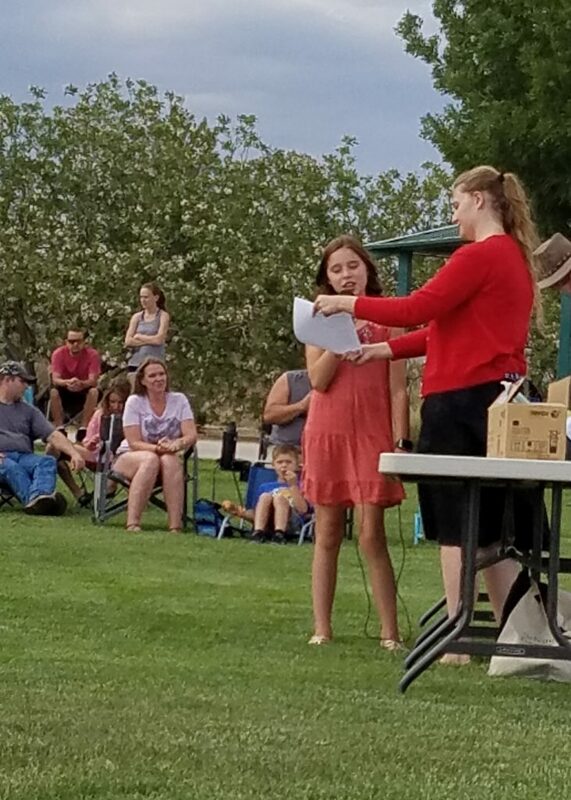 The other fall contest, the Chaparral Youth Poetry Contest, will continue to be in the fall. The Washington County Youth Creative Writing Contest, along with its companion workshop in Springdale in March, will continue next year. For more information on the workshop and contest as well as other writing opportunities for youth in the county, “like” the workshop and contest’s Facebook page. A list of winners, as well as the text of the contest’s 1st place entries, is below. Below are the 1st place entries in each of the categories. A grass covered ground and maybe a dirt mound. Buzzing around a yellow bumble bee. I grew up in the beautiful landscapes of Utah. The mountains are beautiful. There is red, orange and yellow sand that is also beautiful. The mountains are safe because they protect us from tornadoes. Mountains are also dangerous because some of them are volcanic. The sky is beautiful. The sky can change color to red, orange, yellow, green, blue, and purple altogether. Sometimes the sky is red, orange, and yellow. The sky is blue with white puffy clouds. The flowers have petals that are red, orange, yellow, blue, purple, and pink. Flowers have beautiful green stems with beautiful green leaves. These are all the reason why I think the place I grew up in is so beautiful. And the deep red mountains sing to you. And you hear the wind softly mutter. Bunnies white as snow cease to play. While squirrels bury nuts with all their might. The moon looking pure white as a dove. This Inky Black World is a beautiful sight. I’ve been here many times in my life. But out of all those times I’ve never seen this path before. I follow my mom down the windy trail lined with beautiful green plants and brightly colored flowers. Up ahead I can see the tall pine trees and the dark bark. We must be nearing the end of this beautiful path. To my right there are tall bushes and ferns the color of a lime. But to my left I see millions upon millions of tiny red and black bugs. Ladybugs! They’re so beautiful! I don’t want to leave this beautiful trail. Maybe we can come back next time? 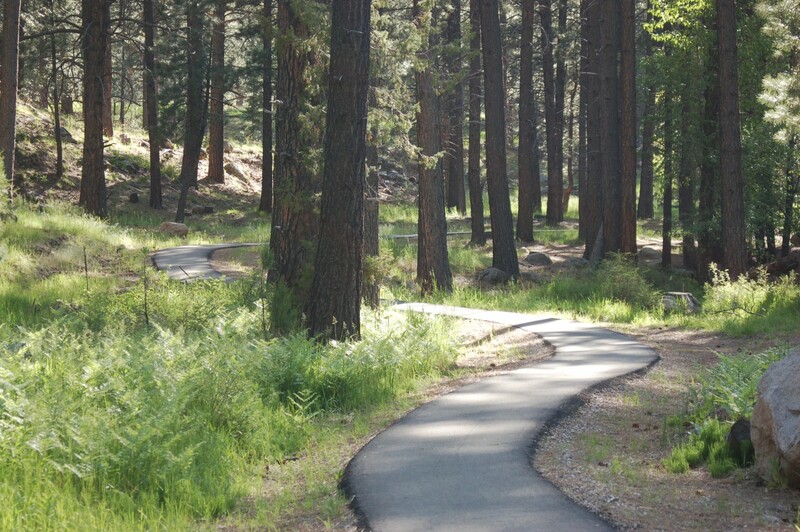 Maybe we can find another trail like this one next time we visit Pine Valley Mountain. Maybe we’ll see monarch butterflies next spring! Maybe . . . just maybe. As I step out of my car and hear the dirt crunch underneath my feet, and breathe in the cold, fresh air, I feel an indescribable surge of excitement enter into my heart. The colors melt together, from the royal blue of Pine Valley Mountain, to the red rock, to the green canopy of desert trees, standing tall against the bright blue sky. My eye catches something rustle far ahead, as a flock of small black birds fly out in a cluster, over the rolling hills. Bright, shining ponds and lakes flow onto the dry ground. The soothing sound of the softly swishing water calms all uncertainties and fears. My mind flashes to a kayak, one of the ways to cross this amazing body of water. Yellow chocolate flowers adorn the pebbly trail, adding a pop of color one can only imagine. Lizards and other reptiles scamper across the sun-cracked ground, only stopping to do their tiny push-ups. Layers of sandstone and black melted looking rocks prove the cycle of erosion mixed with volcanic eruptions has occurred. Dormant volcanoes lay all about, a great wonder and mystery still waiting to be solved. Trudging up mountain-like hills, taking deep breaths in and out, enjoying the petroglyphs, and life-like, nature-sculpted rocks is an exquisite way of using your time. Once on the top you look down, upon much more hills just like the one you have accomplished. The vibe of the nature, and the beauty that you are surrounded by is one that cannot be described by words. So, if you truly want to know, and feel this great pleasure you must see for yourself. Now is your time. Shattered light of sunbeams gold. And scatters rays ‘cross canyon old. Brightly on clouds’ pillared form. Bright sparks doused in the river’s storm. Like diamonds to the drowner’s grave. Crowned upon the canyon’s height. As sunlight bleeds into the night. I stand on the bank of the Virgin River. The water is a muddy-brown trickle, and cracks in the earth spider web from my feet. I can barely breathe for the heat. My hair sticks to my sweaty neck and my eyes are closed against the sun. Slowly, they adjust, both to the light and my surroundings. I look to the north and see a layered cake, red-black-purple. Gritty red rock as a base, carved and twisted by centuries of wind, with glossy obsidian for the filling, and a hazy purple Pine Valley topping. The raging Spring storms contrast starkly with the usual crystal skies, the horizon sharp enough to split a hair. A line of pale green follows the river. There is beauty in this desert. Washington County is an acquired taste. At first glance it is dry, prickly, lifeless. Summer brings a stifling heat that drives all but the hardiest to the shelter of shade and air conditioning. Brittle grass clings to life by a thread, and heat waves radiate upward from the pavement. At second glance, however, one can see majesty in the dryness. It is not the lauded beauty of lush greenery and plentiful water-it is the beauty of strength and survival. Ed. note: The author of this report is one of the organizers of the contest. This workshop inspires young writers in a new way: What does sandstone taste like? We do live at the end of the rainbow, a proverbial pot of gold; and Its good to have fresh eyes remind us, what we take for granted as we grow old.